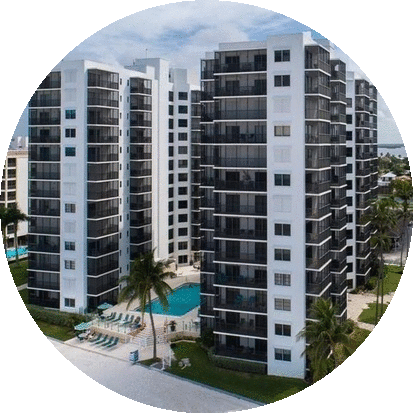 A cluster of luxury condominium communities perfectly situated, and slightly secluded, on the quite, South end of the Island! 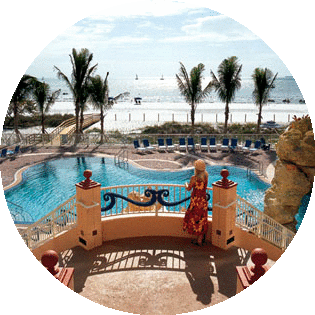 One of the most tranquil locations on the Island! 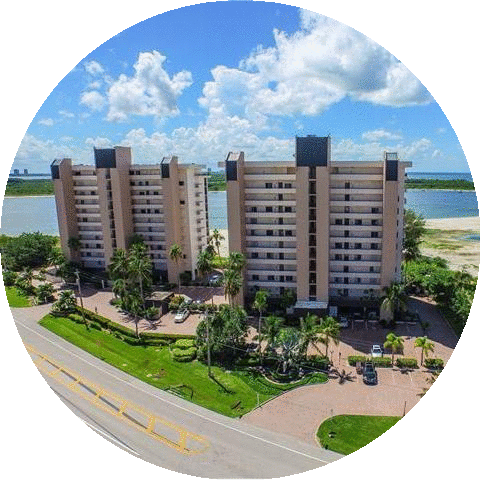 A beachfront condo community located on a natural shoreline! 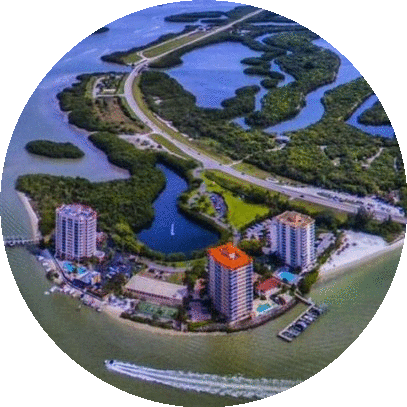 Your perfect, luxury boating community! 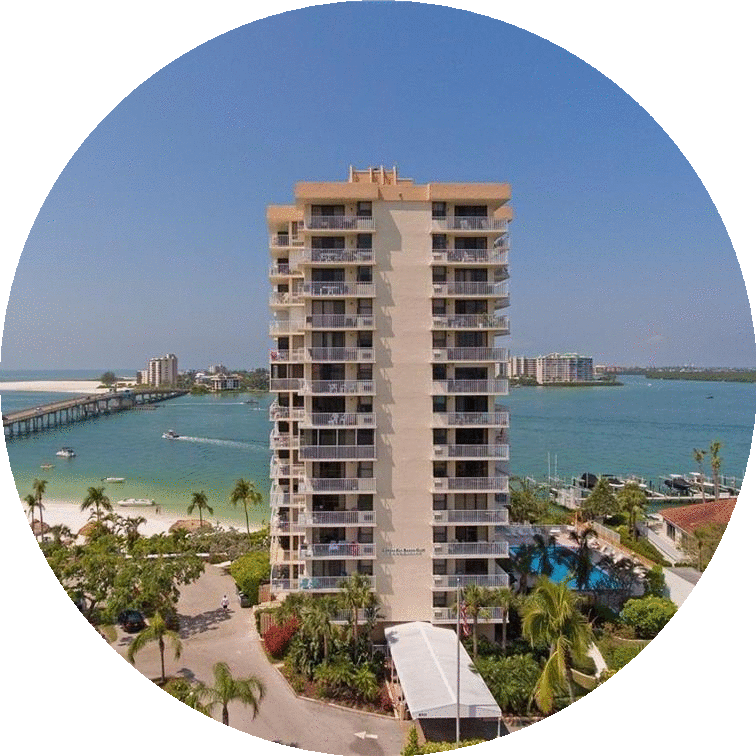 Your prime North end island beachfront condo! 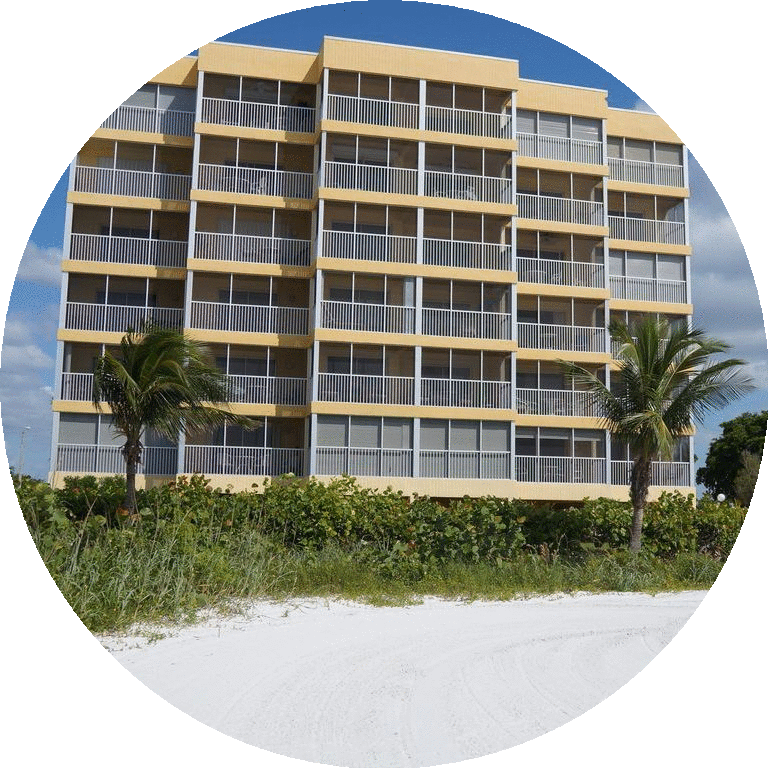 One of the most sought-after condominiums on Fort Myers Beach! 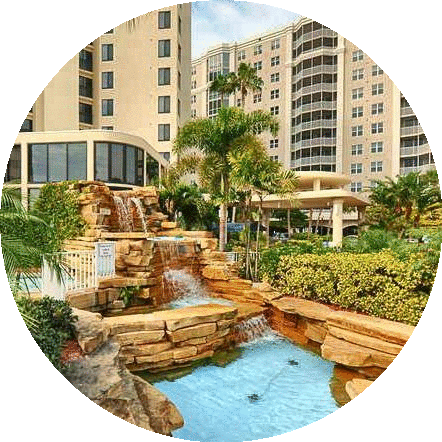 Luxury resort style condos at its best! 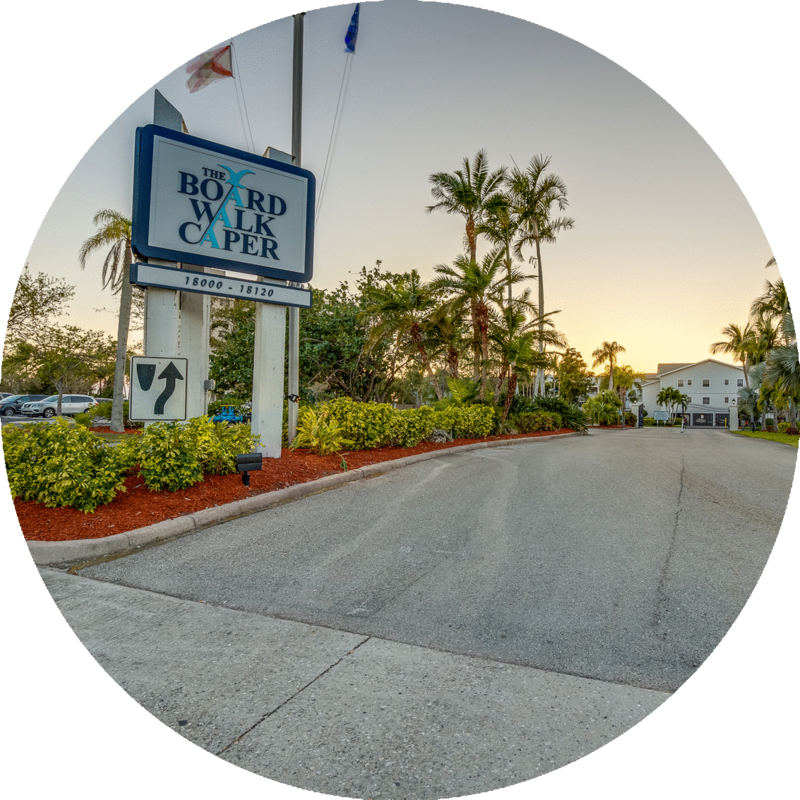 South end condo complex located directly across from shops, a full-service marina, dining, retail, and more! 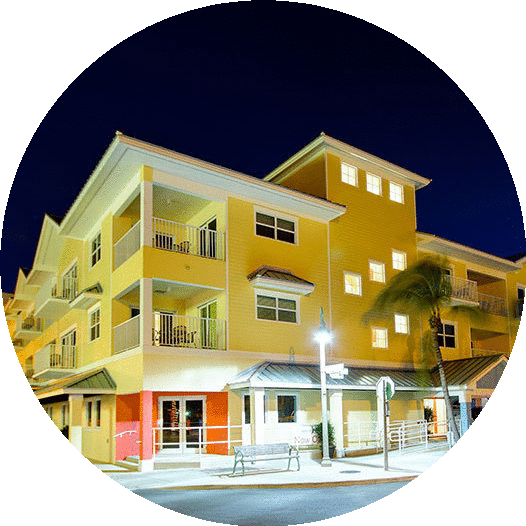 Perfectly located close to shops, restaurants, and more! 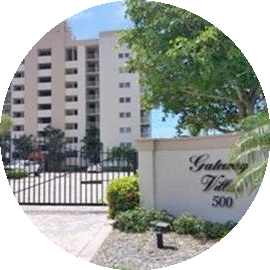 Luxury, gated condo community on the North end of the Island! 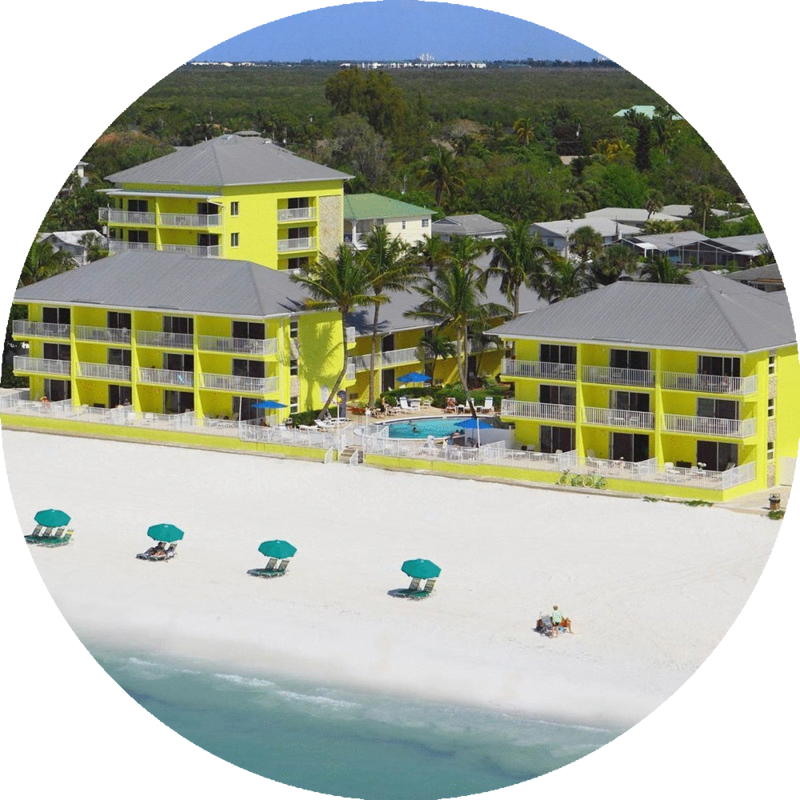 A premium, South end, beachfront condotel! 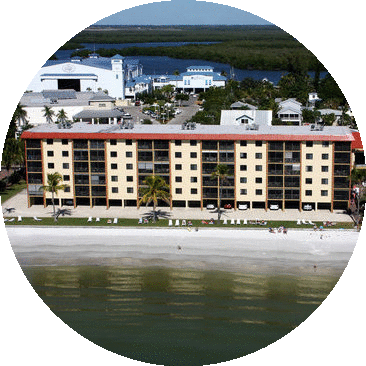 Newer construction one and two bedroom condotel suites located in the heart of of Fort Myers Beach! 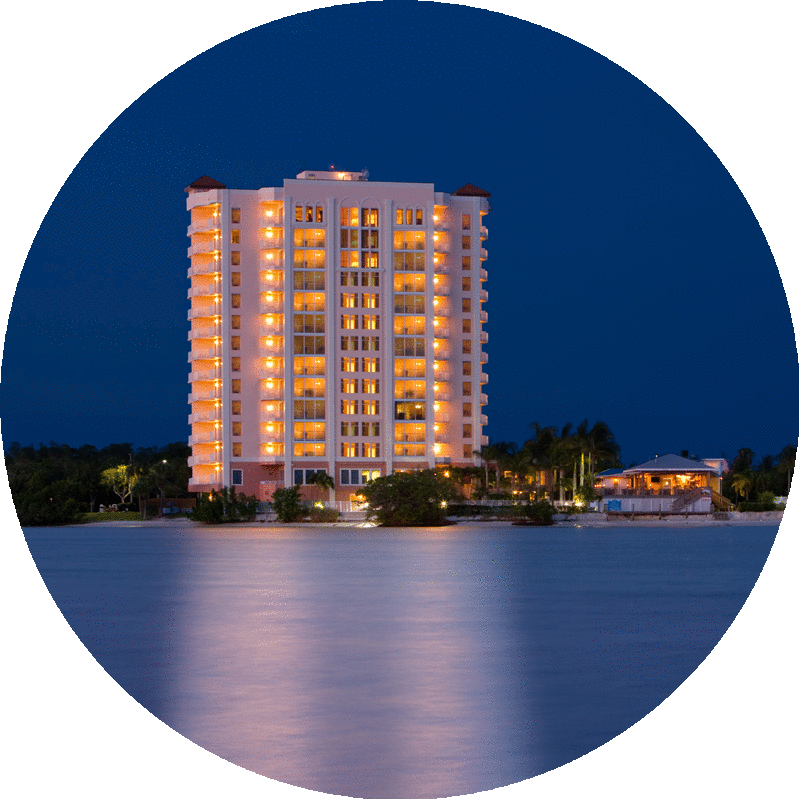 One of the area's newer luxury condos on the bay! 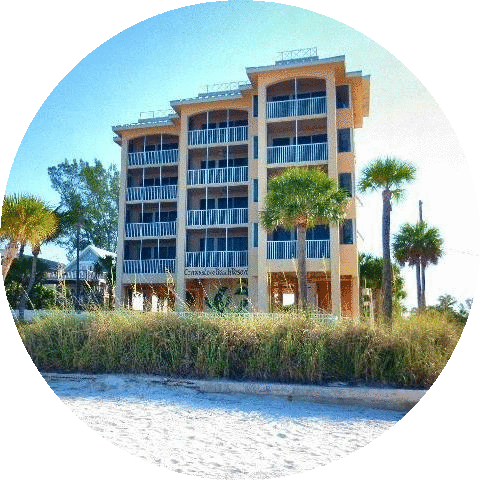 Beachfront community on the Southern end of the island! 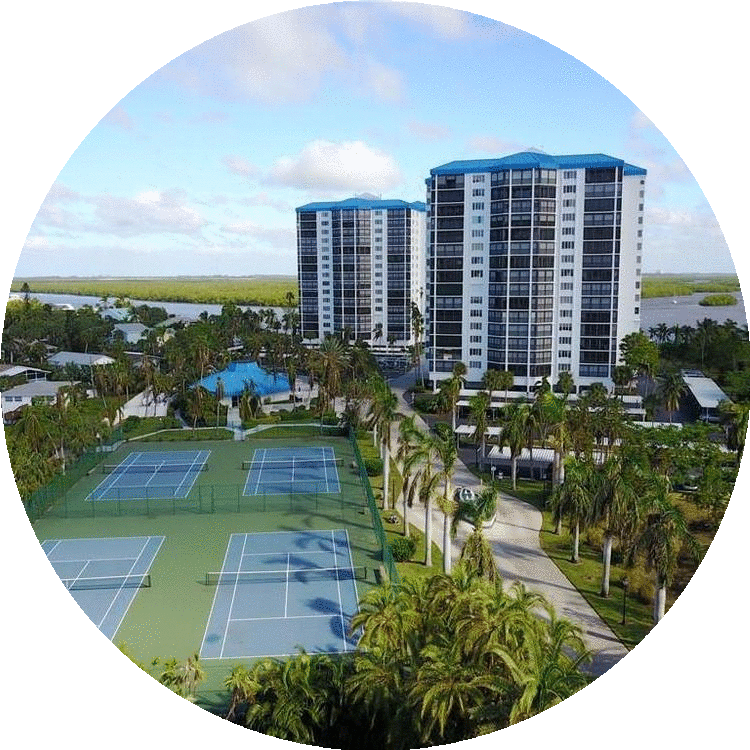 The furthermost condo community on the South end of the island! 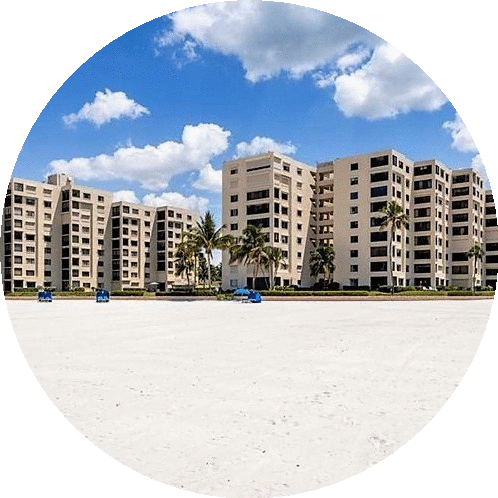 South end, mid-rise beach condo community! 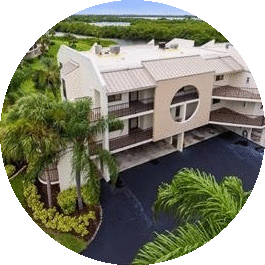 Your premier gated community on Black Island close to Lovers Key State Park! 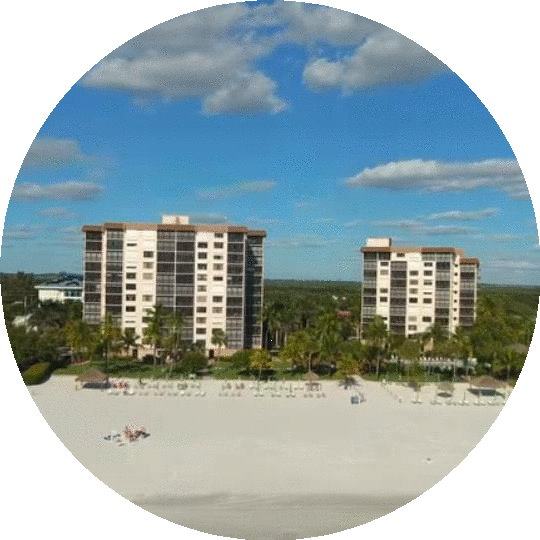 Black Island and the condos that reside there! 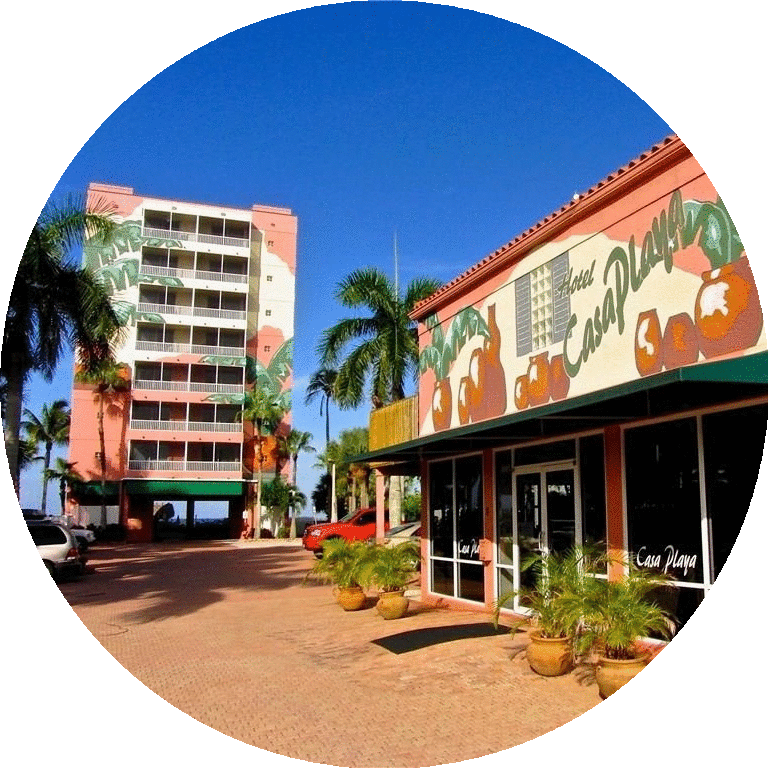 Luxury condotel located on Black Island, just waling distance to Lovers Key State Park! 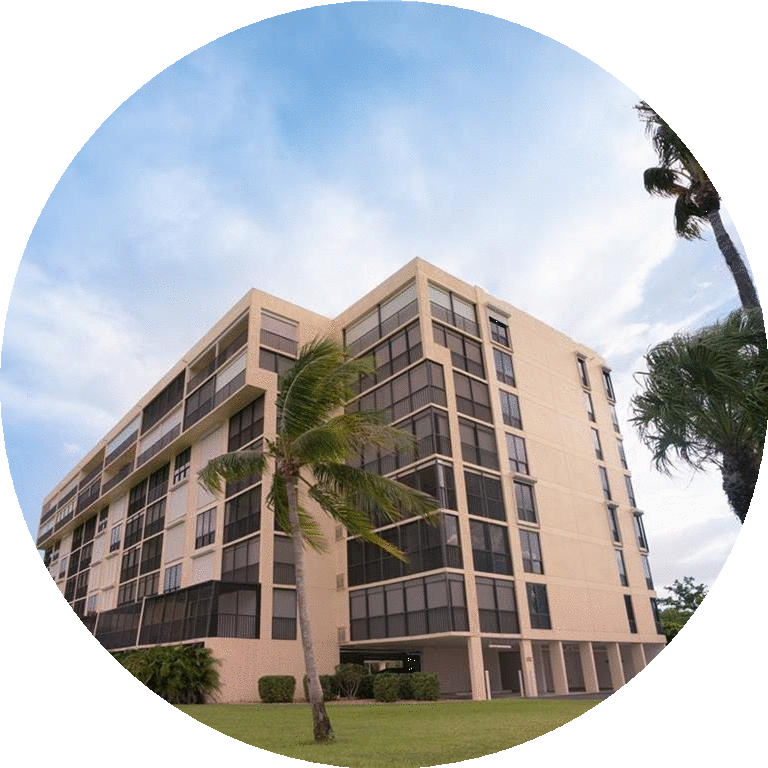 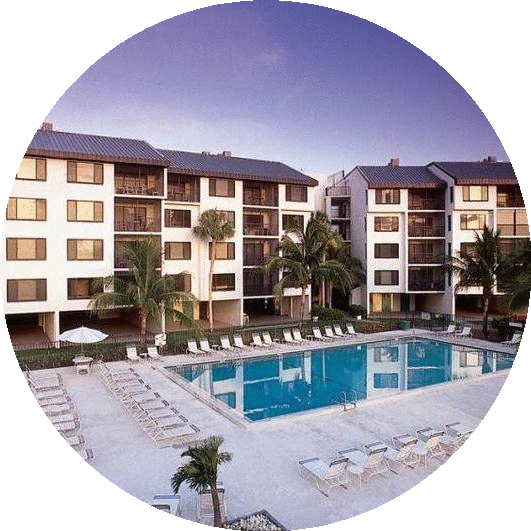 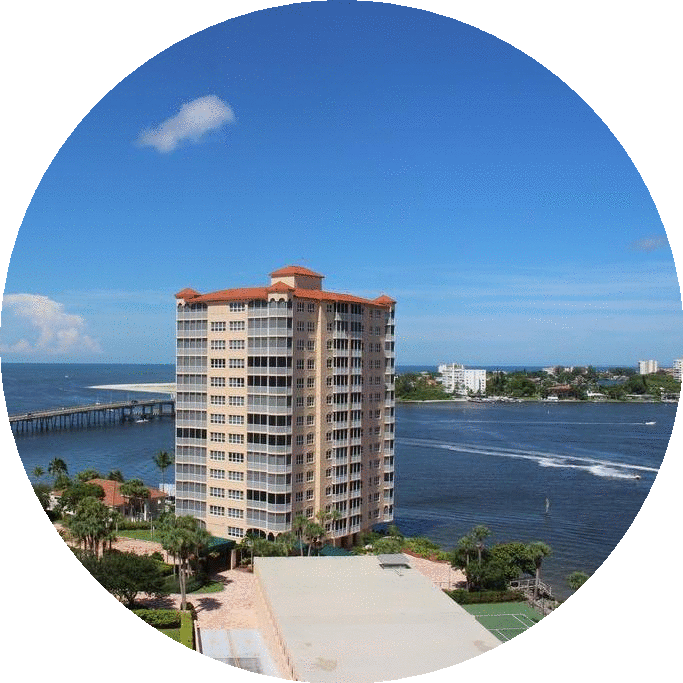 Your luxury, gated highrise condo community located mid-island and sitting on the Estero Bay! 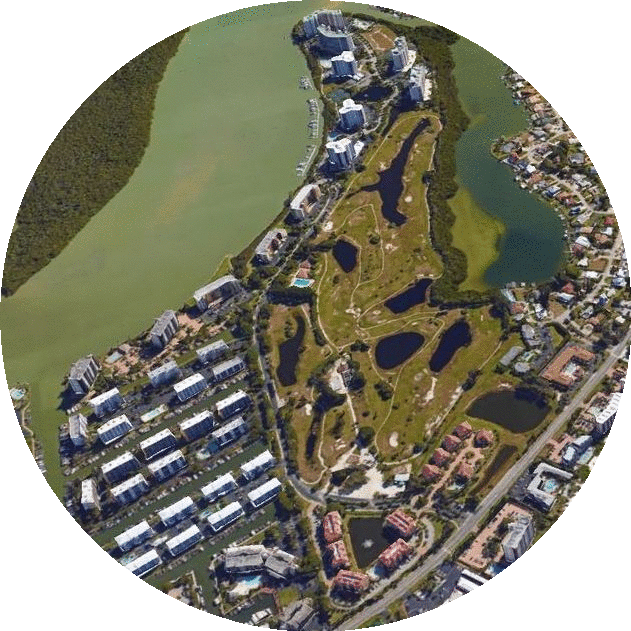 South end town home community on the Bayside of the Island. 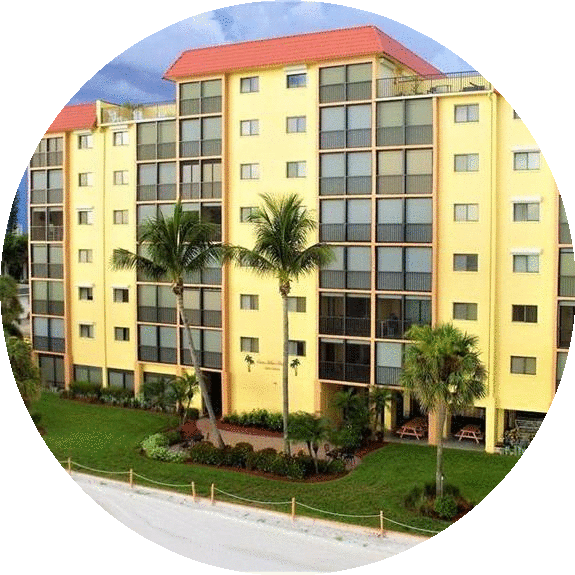 Your canal front, South end condo community! 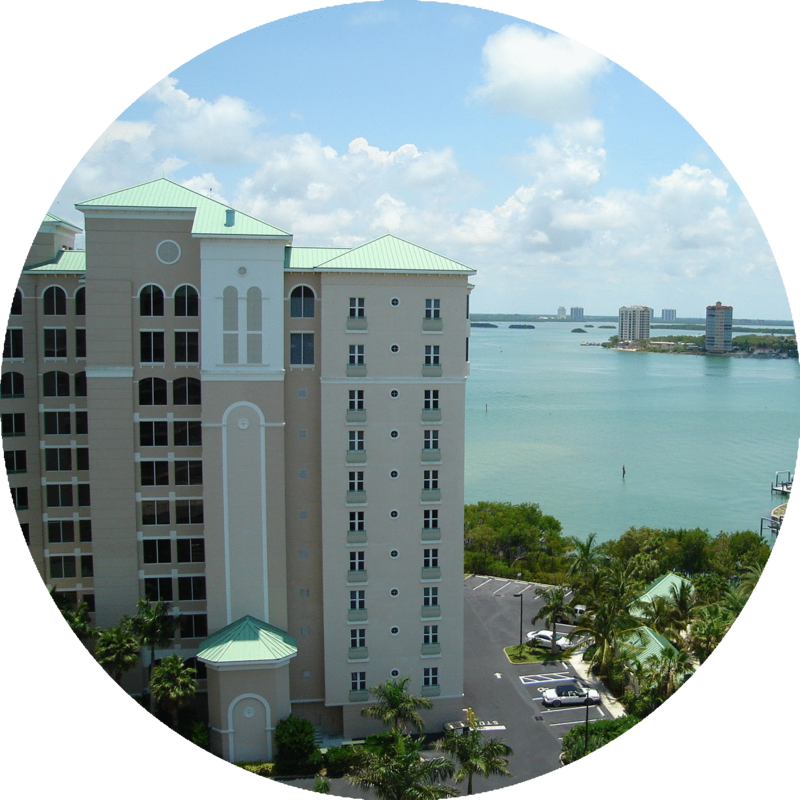 Wonderful Bayfront condo complex located close to shopping, dining, entertainment, and much more! 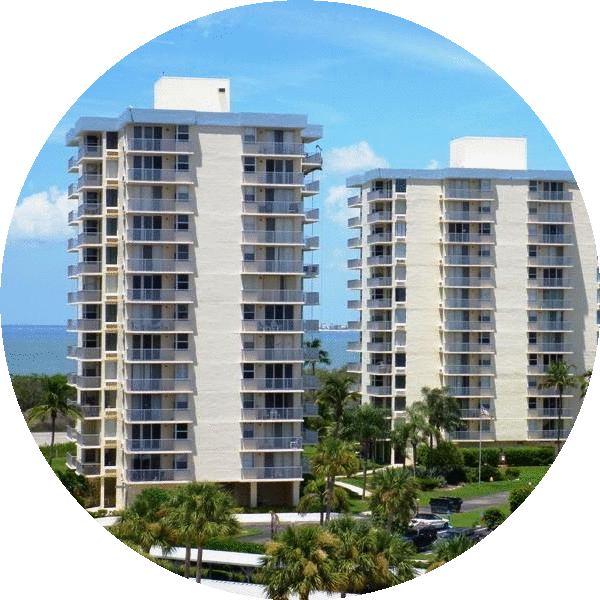 Your luxury, beachfront resort style condos! 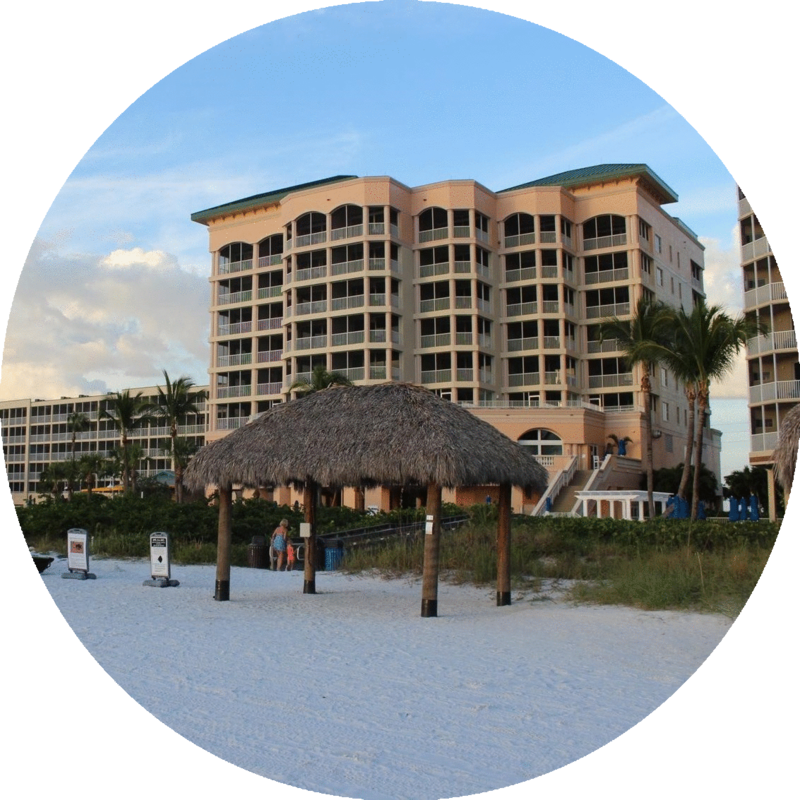 Lush, tropical oasis on the beach! 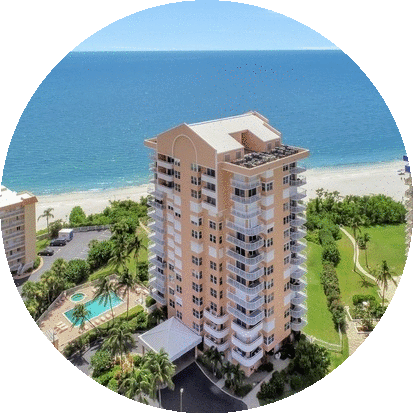 Beach-side mid-rise condo on the southern end of the Island! 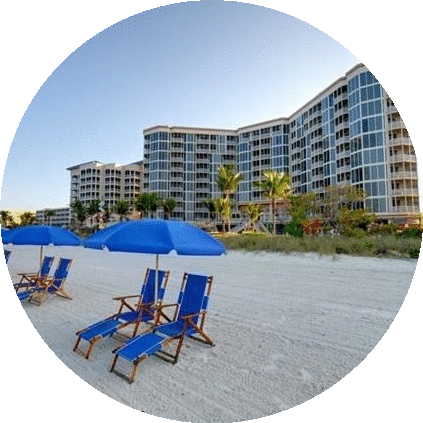 South end condo on the beach! 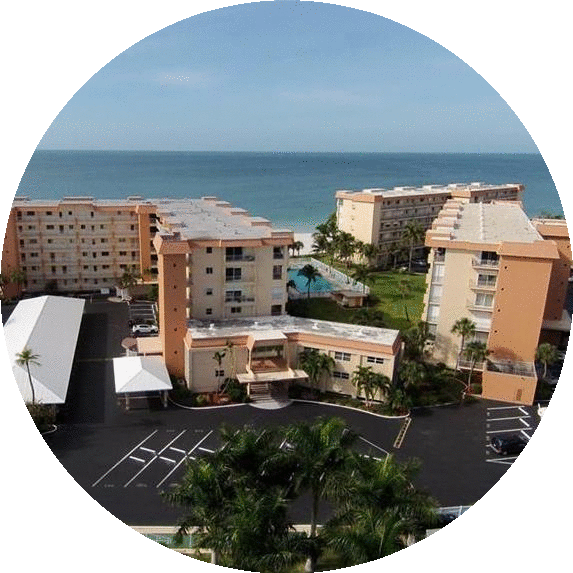 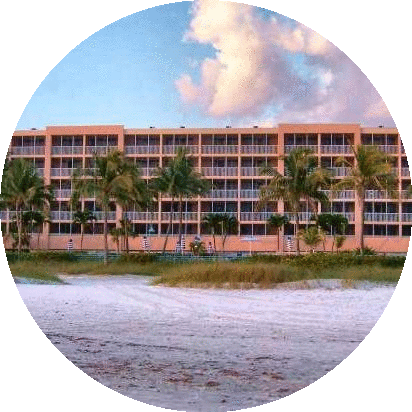 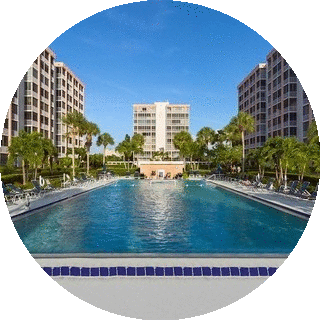 Part of the Pink Shell Resort & Marina, Sanibel View Villas is your resort highrise condotel on the Northern tip of the Island! 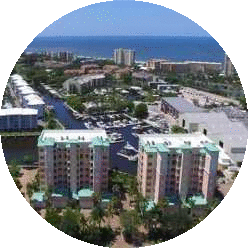 Canal front condo community on the South end of the Island! 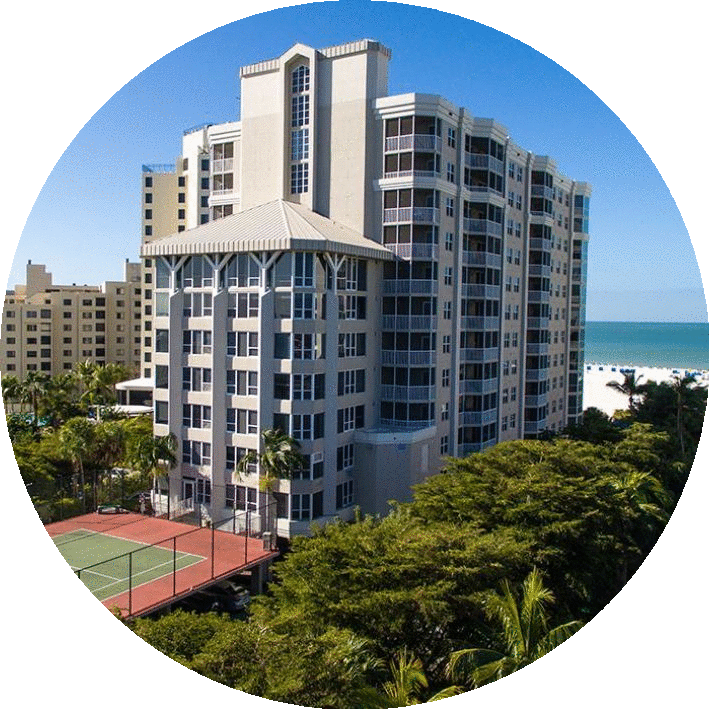 Your mid-island mid-rise condo community! 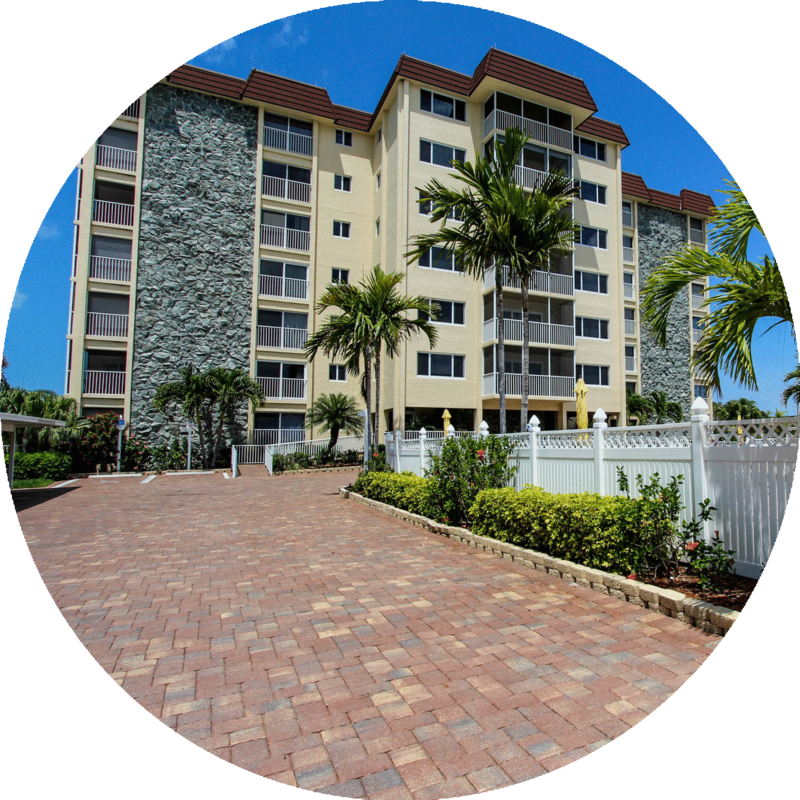 The first condo on the North end of the Island! 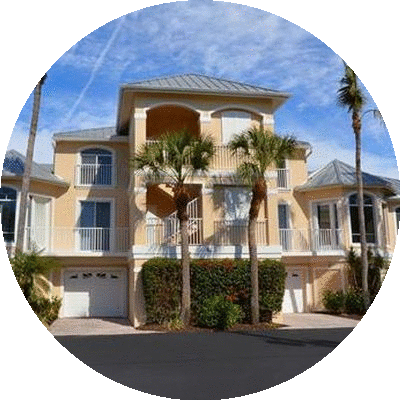 Gated community on the Bay, located on the tip of a peninsula and towards the South end of the Island! 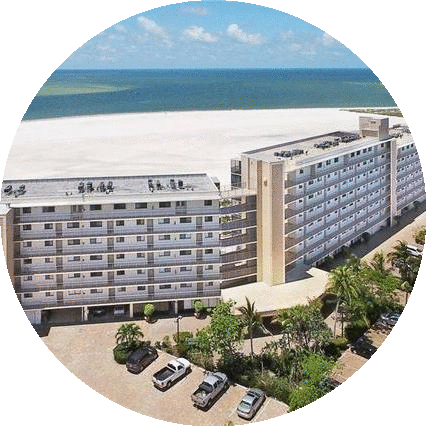 Part of the Pink Shell Resort & Marina, White Sand Villas is your luxury highrise condotel on the Northern tip of the Island!